A special screening of AWAKE: A Dream from Standing Rock at Augsburg University followed by a conversation with director, digital storyteller, journalist and media activist Myron Dewey. 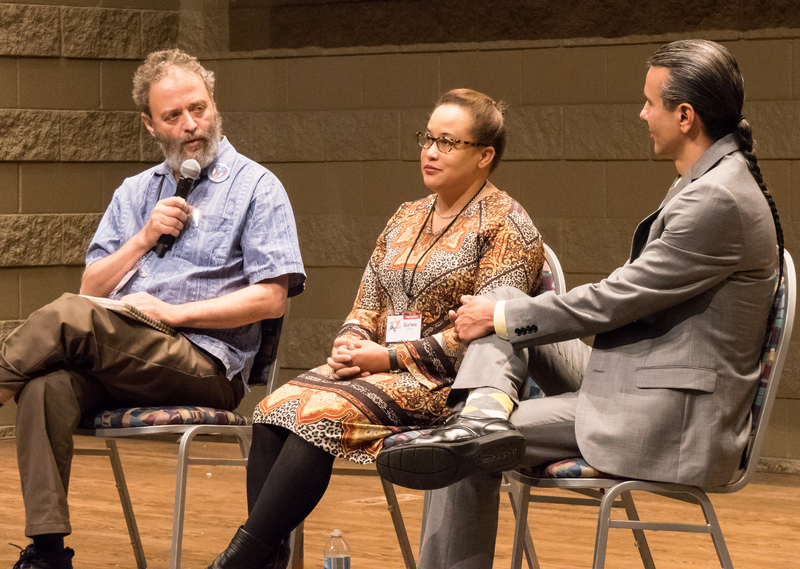 The 2019 Overcoming Racism Conference will take place November 15-16, 2019 at Metropolitan State University in St. Paul. Watch this space for the theme and more info to come! Our next meeting is Thursday, January 17, 9-11 am at Golden Thyme, 921 Selby in St. Paul. Join us and be part of planning 2019 activities! Registration has been closed for the 2018 Overcoming Racism Conference because we are full! Sorry but there will not be a waiting list. You will be able to live stream the plenary events both mornings. More info to come. We have posted a tentative breakout workshop schedule for the 2018 Overcoming Racism Conference! It’s still tentative, but check it out! Conference Registration Opens September 1st! Mark your calendar for the first day of conference registration, September 1st! Propose a Workshop for the Overcoming Racism Conference!